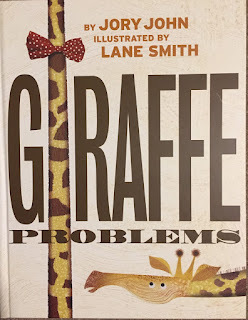 Another very funny book from Jory John and Lane Smith. 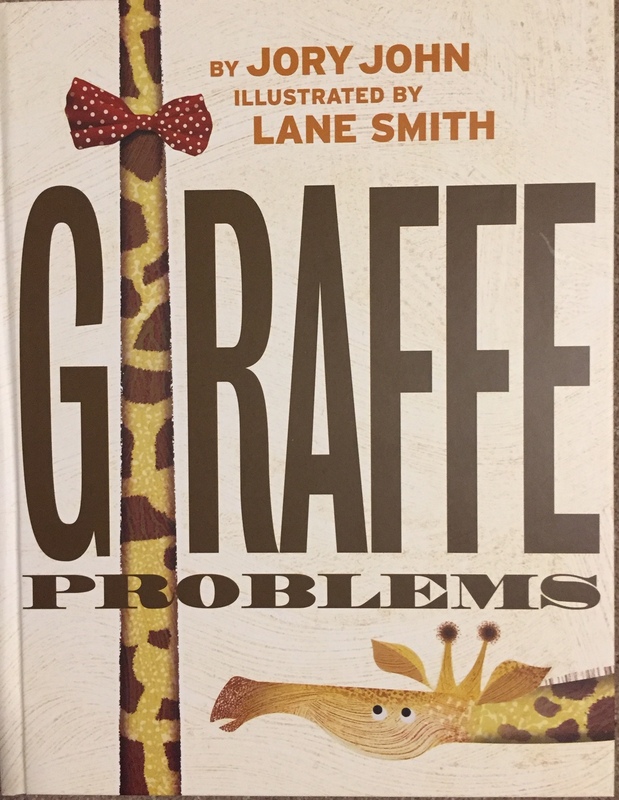 It was penguins with problems last time, but this time its Gerald the giraffe with a complex about his long neck. Just why is his neck so long and bendy and problematic! He tries to disguise it but that doesn't work. "Yep, I feel bad about my neck. I've tried dressing it up. Every other animal seems so much more practical to Gerald. The zebra and elephant don't have this problem, nor turtle. But turtle has some wisdom that helps. Just when he has exhausted his neck-hiding options and is about to throw in the towel, a turtle swoops in (well, ambles in, very slowly) and helps him understand that his neck has a purpose. This is a wonderful follow on from the companion book 'Penguin Problems'. Lane Smith's images are stunning; including a memorable pull out page. With a thinly disguised message about accepting yourself, even if different, this team offers up another page turner that is fun and meaningful. 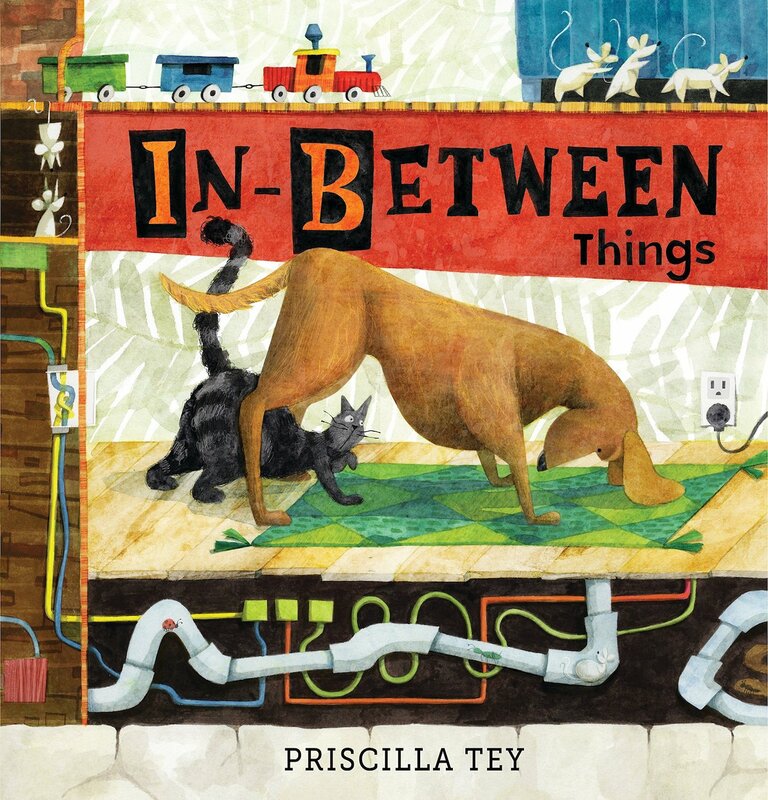 This is a delightful debut picture book from Priscilla Tey. She sets a very high benchmark for herself. The words and images provide the young reader with a funny exploration of what the concept of 'between' means in all of its many facets. To be 'in-between' is to be the dog in the middle of the two cushions on the sofa, while the pipes and a mouse are hidden, 'between' the floor and the ground. You can cross "an in-between bridge for dray paws and dry feet", in fact, if you "keep looking, eyes open, and in-between things will come clear. All kinds of wacky and weird will appear." This is one of the more interesting recent 'concept books' for young readers aged 5-6 years. 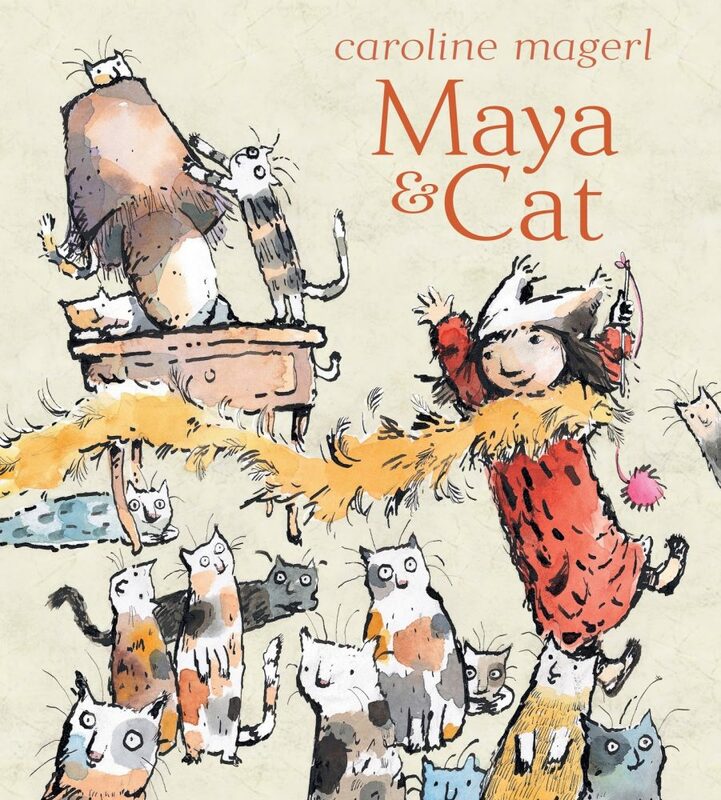 Caroline Magerl is a well-known Australian author-illustrator, and the quality of this latest book shows why. She was born near Frankfurt in Germany and came to Australia when she was just two. If you're fortunate enough to be an illustrator who has great ideas for books, and can write as well, then you are in a special group of people who are able to craft special picture books. 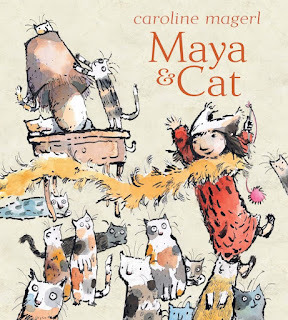 'Maya & Cat' is one such book. It is a wonderful tale about friendship and resilience. A mysterious cat appears on Maya's roof. Is it lost? Can she coax it down? Apparently not with feather boas, or a pompom on a stick. But a tin of sardines? "Cat came to see - and ate every oily silver morsel!" But where does the cat really belong? Maya sets out to find out. This is a delightful and evocative tale with beautiful line and watercolour art that is rich in detail and interest. 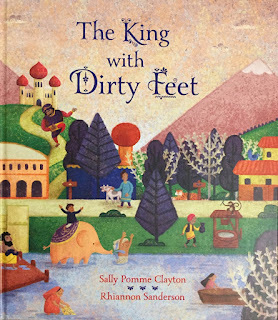 Caroline won the Children's Book Council of Australia Crichton Award for new talent in children's book illustration for her picture book Grandma's Shoes (written by Libby Hathorn). This book demonstrates the work of a gifted artist and story teller. The book will be enjoyed by 3-7 year olds as a read aloud, or individual reading for readers aged 5-8. Wonderful stuff! I love this slightly 'crazy' book that outlines the most outrageous gift scenario. What a birthday girl wants more than anything from her Abuela are tickets to the amusement park. Instead she gets a chicken. But this chicken is no ordinary chicken; it has plans! 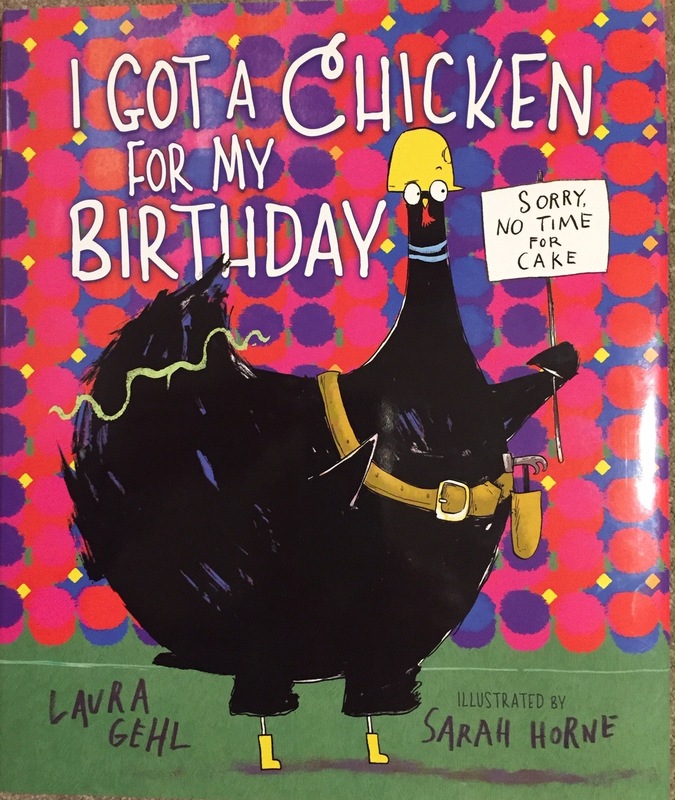 With a lot of hard work, and help from lots of other animals, this chicken may just end up building the girl the best birthday gift ever! 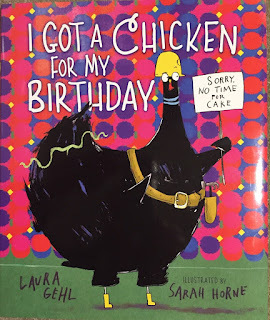 Sarah Horne's wonderfully expressive and funny illustrations make Laura Gehl's clever story come alive and complements the carefully crafted and very funny text. Laura is of course, the author of many successful previous books. Together, they offer an hilarious romp through an unlikely birthday. How many times must you tell your grandmother what you want?! It seems three isn't enough. Ana concludes, perhaps a chicken is better than socks, a sweater, or underwear. Now this chicken seems to have been born with an independent spirit that would challenge anyone. But it also has a 'list' and some demands. Don't miss this funny book. I can't wait till I can read it to children aged 3-8. It will also be read and re-read by young readers aged 5-8. And believe me, they will want to read their favourite bits to other children and you! Every child has to conquer their own special fears. And while others can help along the way, the final hurdle is always within. 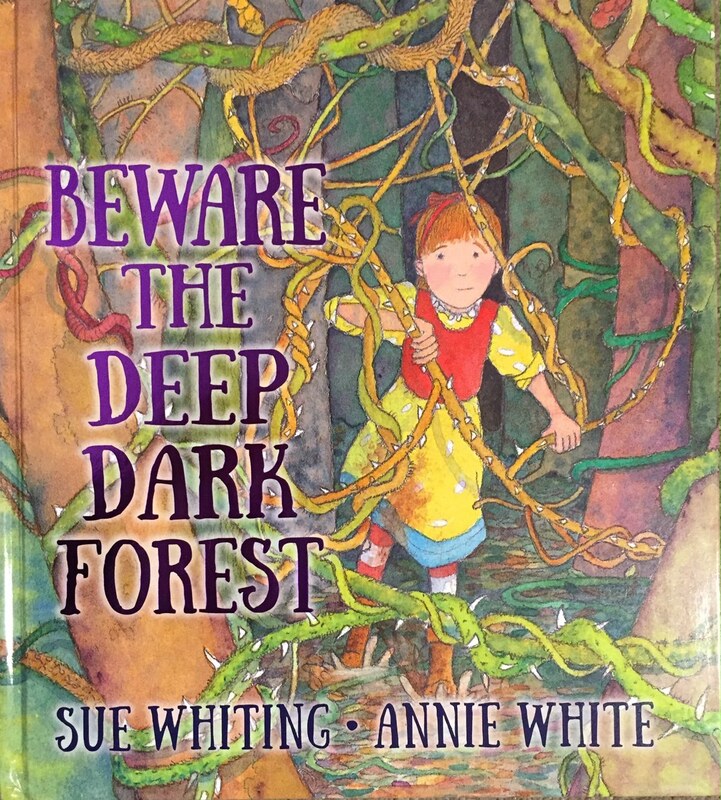 It is only the courage of Rosie to face her fears that can finally overcome the dangers of the Deep Dark Forest. While she has been told: "You must beware the deep, dark forest!" and you she must "never, ever go in there" her tiny puppy Tinky doesn't get this and goes in alone. Tinky won't come back, so Rosie decides to follow into this dangerous and muddy place. And why would she?! It has "carnivorous plants" (well at least they say), "venomous snakes", wolves and even a ferocious troll!! This whimsical tale from award-winning author Sue Whiting will delight children aged 3-7, and will be read many times by young readers aged 5-8. 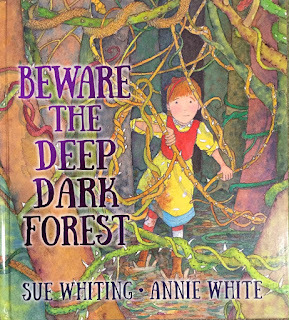 Annie White's delightfully rich and colourful illustrations are a wonderful complement to the text and help to bring the fears to life. Annie has illustrated over 60 books. There once was a king who hated bath time so much that he never washed. He was a very smelly king! The king finally consents to bathe in the river but no matter how clean he is, his feet stay dirty. The people sweep away all the dirt in the land – but the air is choked with dust. The dust gets washed away but now the land is flooded with water. An enormous tapestry is sewn to cover the whole kingdom but now nothing will grow on the land... What is to be done? The responsibility for a solution to the problem falls upon the 'head' of Gabu a loyal servant. What does the king command? "You have three days to rid the land of dirt, and if you fail, do you know what will happen?" asked the king. "No, Your majesty" Gabu replies. "ZUT!" And what is ZUT? The king responds, it "...is the sound of your head being chopped off." A lovely book (truly) with a delightful and novel resolution before "ZUT" needs to happen. Sally Pomme Clayton is a well-known writer, and a storyteller of some note, having co-founded the Company of Storytellers, that has had a big impact on storytelling in the UK. This story is based on a traditional Indian folktale. Rhiannon Sanderson is a Welsh illustrator and artist. She is a recent graduate of the Hereford College of Arts. Her stunning illustrations are created with a range of digital media. This is her first published book. 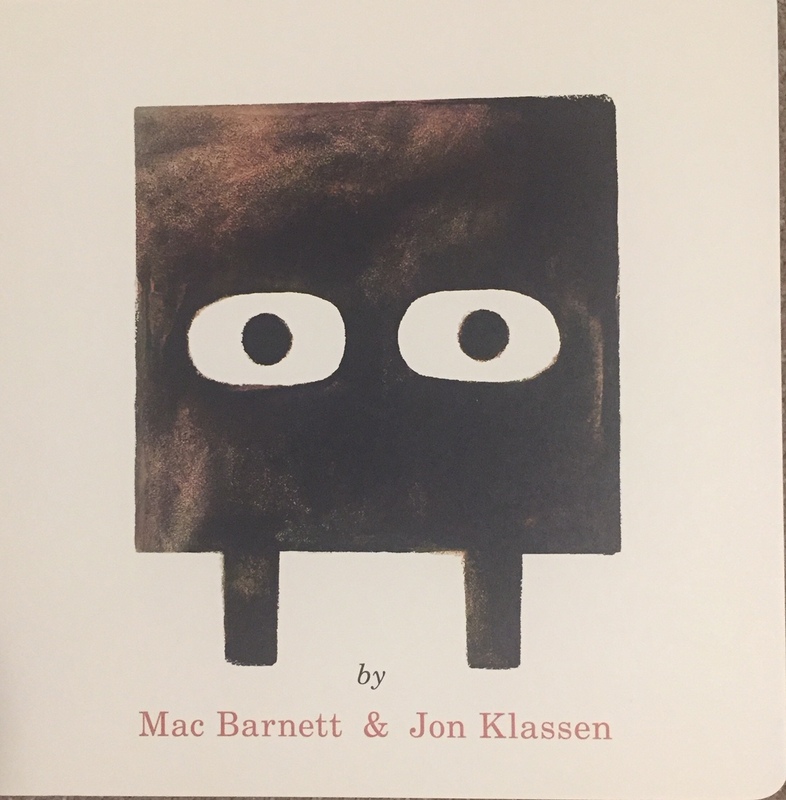 This is the second book in the wonderful picture book trilogy by multi-award-winning, New York Times best-selling duo Mac Barnett and Jon Klassen. First there was 'Triangle', now we have 'Square'. Square lives in a cave, and each day he goes down into the cave, collects a block and carries it to the surface. He pushes it to the top of a hill and begins his work. What is the work? You'll need to read the book. Enter Circle, who is quite taken by Square's talent. "Square!" said Circle. "You are a genius! I did not know you are a sculptor?" But Square isn't quite sure about this high praise. But when Square decides he must sculpture one of his blocks of stone into the likeness of circle, there is a surprising result. Once again, this great creative team has come up with an understated tale, funny in its very simplicity, and intriguing for young and old readers. And guess what the final book in the trilogy will be called? "Circle" of course (out in 2019). Australian author Ananda Braxton-Smith and fine artist Lizzy Newcomb have created a stunning picture book. A work of art in its own right, and a team that has created a lyrical tale in word and picture that is set in life in a suburban backyard. 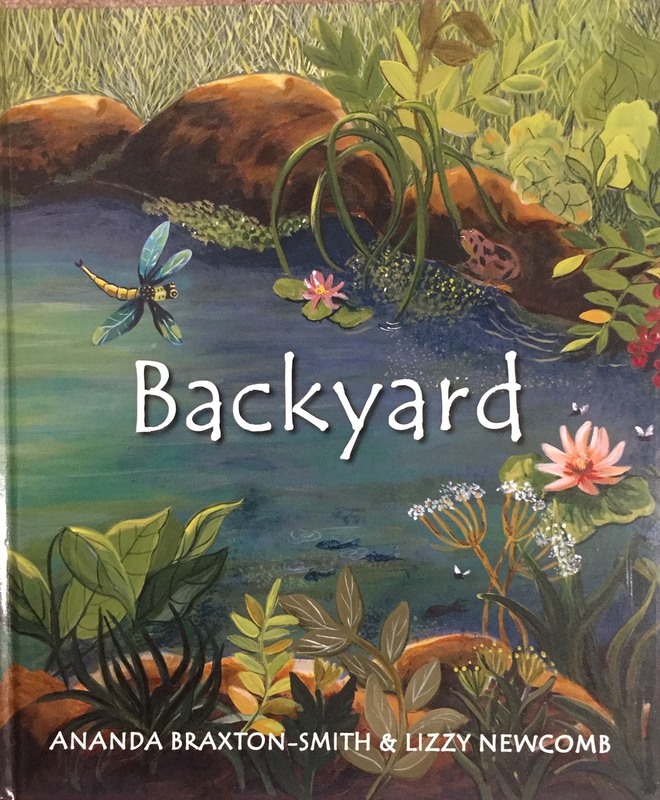 The book is also a stunning celebration of the natural wildlife of Australian backyards. Tawny frogmouths still as wood, with lamp-eyes lighting tiny movement everywhere. Picking with fussy knitting legs, orb weaver nets her web. A circus of evening midges spiralling always up. Honeyeater gaping to catch tiny winds in her beak. The backyard is viewed from a child's perspective as they stand on the back step at dusk and scans the backyard. The backyard can be teeming with life - birds, possum, native rat, bats, insects and bugs. This beautiful book encourages parents and teachers to reconnect children with their backyards and the natural world. Jack and Alex meet almost every morning in the sandbox at the playground. Jack likes trucks — big ones, the kind that can wreck things. Alex likes dolls — pink ones, with sparkles. And tutus. But Jack doesn’t want to play dolls, and Alex doesn’t want to play trucks. Readers will smile at the quintessential playground squabble on display in this amusing, relatable tale from Ann Stott and Bob Graham. Luckily for Jack and Alex, the day is saved with a little bit of compromise — what about dolls who drive trucks? — and the easy acceptance that characterizes the youngest of friendships. Not to mention a familiar jingle from nearby that reminds Jack and Alex of something else they both like: ice cream! In an age where discussions of gender stereotypes can feel contrived and almost over done in the school, this is a story that simply speaks of difference and acceptance. 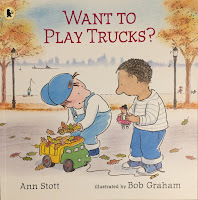 American author Anne Stott and Australian legendary illustrator Bob Graham create a delightful picture book for readers aged 4-6 years. Shannon is very big, but she’s beautiful, throwing her head up and looking at him with her dark eyes as if she knows everything there is to know. 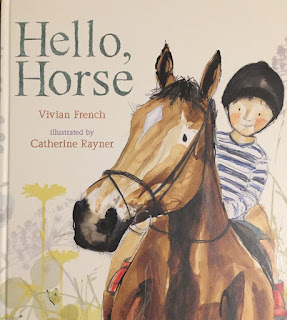 Catherine patiently teaches the boy how to talk to a horse quietly, how to feed her carrots, how to lead her across a field, even how to blow at her softly to show that he likes her. But is he really ready to climb up on Shannon’s back and take a ride? This beautiful picture book combines a simple narrative about a horse named Shannon who meets an unsure little boy. With the loving coaching of his friend Catherine, he bravely learns about the joy of horses. The simple narrative has a parallel commentary on horses and their care. The book should attract horse lovers and those who are less sure of these wonderful animals. Perhaps children who have other fears and challenges. How do animals sleep? Some alone, some in packs, some upside-down, some in the daytime...Kate Prendergast takes a close look at the sleeping habits of a wide range of animals, birds and fish. Includes meerkats, bats, horses and dogs - and who knew that fish slept with their eyes open? A first information book, illustrated with beautiful close-ups of the animals featured, the book ends with a question - do animals dream? and four pages of curious animal facts. 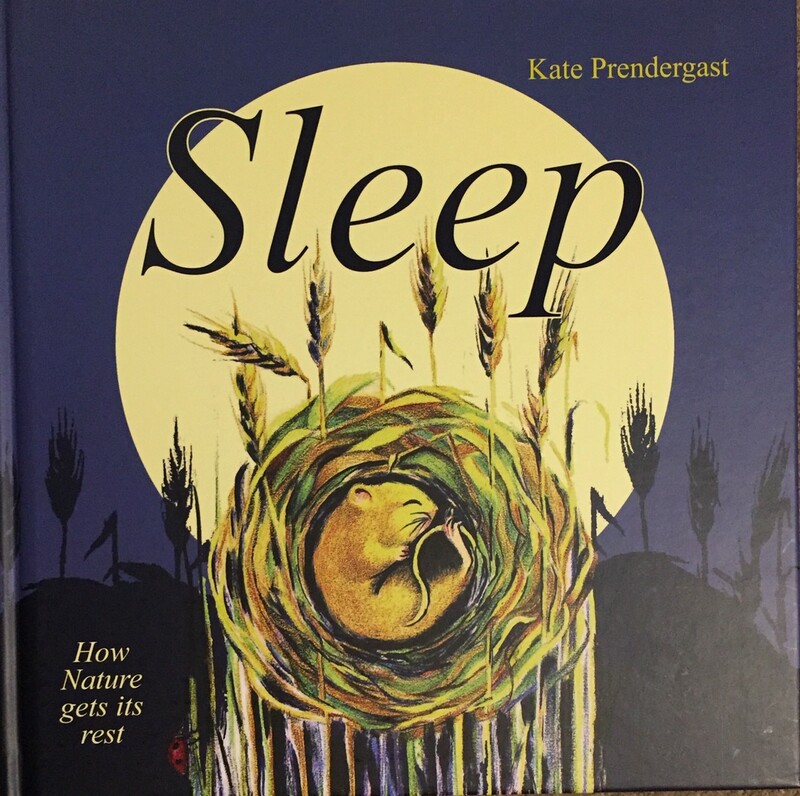 This wonderful non fiction book is the creation of Kate Prendergast. Kate is such a talented illustrator and writer. Her drawings of animals are exquisite, and her text, simple but elegant. I wanted to reach out and pat the tiger as it sleeps. I just love her work. 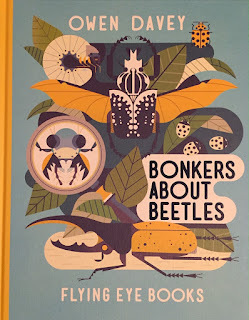 I've reviewed Owen Davey's work before on this blog, including 2 of the other three books in this wonderful series of factual picture books for children. The previous titles were 'Mad About monkeys', 'Smart About Sharks' and 'Crazy About Cats'. 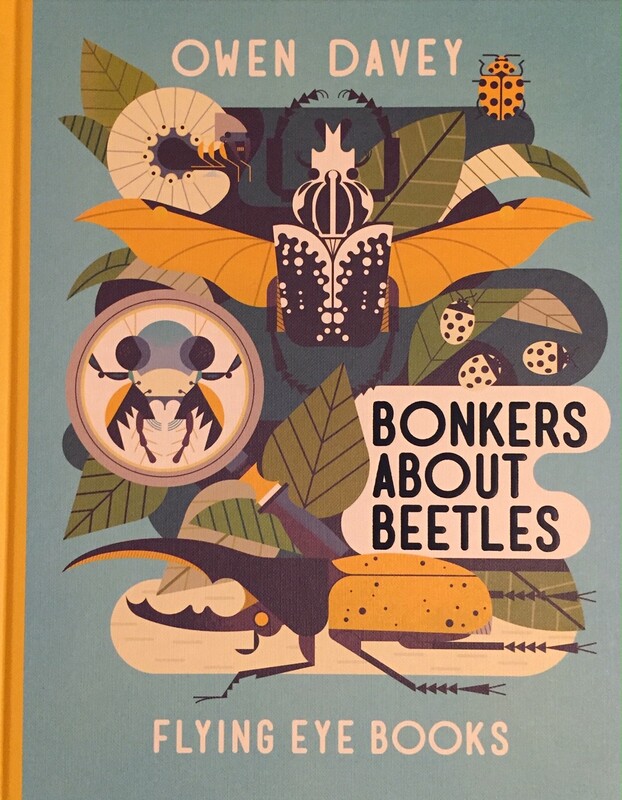 They are scientifically accurate, beautifully illustrated and engaging reading. Children will spend hours with every one of the books in the series. Every non-fiction collection should have some of Owen Davey's work. 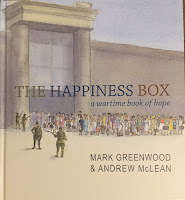 This is an inspiring narrative non-fiction picture book by award winners Mark Greenwood and Andrew McLean. It is based on an incredible true story that is one of many from the horrors of the infamous WWII Changi prison in Singapore. This poignant tale centres on some toys and a small illustrated storybook that the prisoners wrote and illustrated for the children also interned in the prison. The book survived after being buried in a box to stop the guards destroying it. After the Japanese surrendered at war's end, it was dug up and returned to one of its creators and is now held in the State Library of NSW in Sydney. 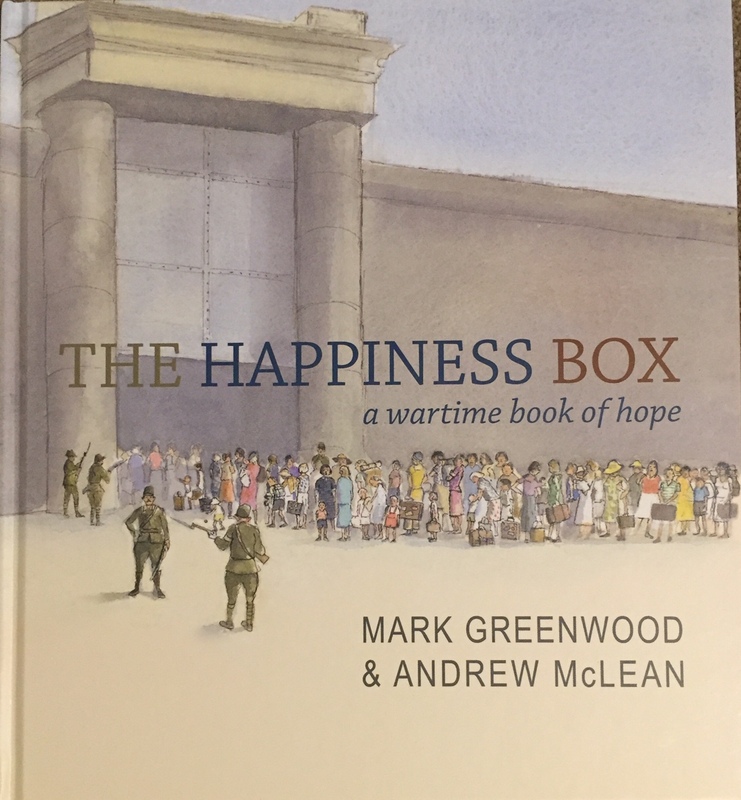 The award-winning team of Mark Greenwood and Andrew McLean bring to life this inspirational true story of a book that became a National Treasure. 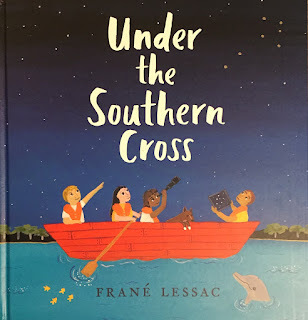 This is another stunning picture book from Frané Lessac. This new narrative nonfiction picture book, explores the Australia skies after dark. 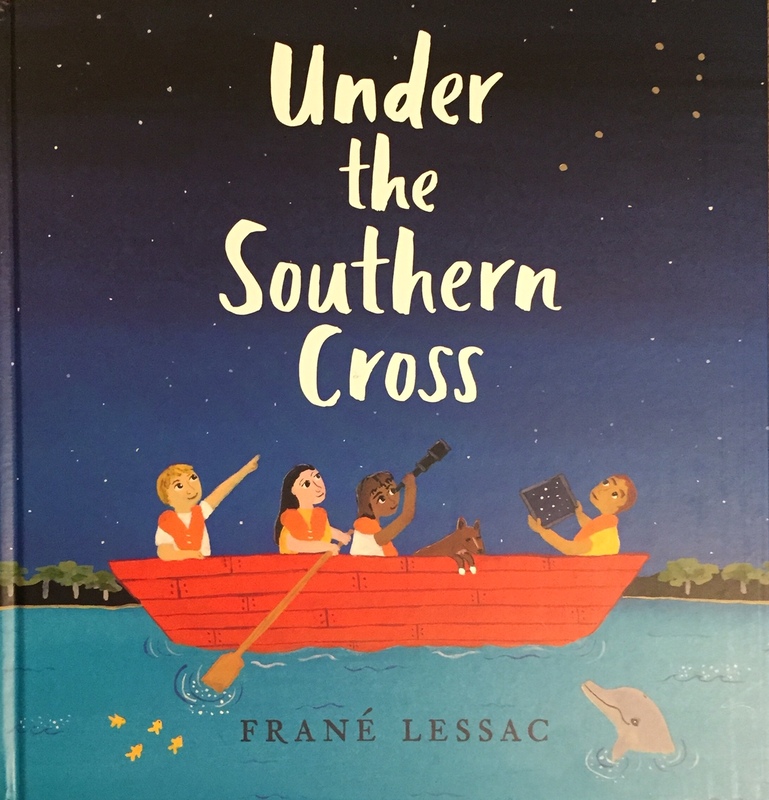 'Under the Southern Cross' is a companion book to 'A is for Australia' (2015) and 'A is for Australian Animals' (2017). I reviewed both of these books in the past. What makes ribbons of colour swirl in the sky? What are the spooky balls of light that bounce across the outback? What animal lays eggs that look like squishy ping-pong balls? Where can you watch a movie with bats circling overhead? Discover the answers to these questions and more in this factastic picture book tour of Australia after dark. In Darwin after dark, families "snuggle in beanbags and deckchairs, to watch movies and munch popcorn - under the Southern Cross". At Mon Repos in Queensland, "tiny turtles scramble down the beach and paddle out to sea". In Hobart, "ribbons of colour swirl and twist and dance on the horizon - under the Southern Cross". So many wonders in the sky after dark! 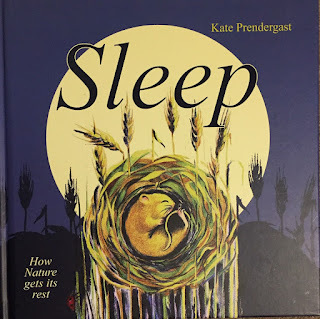 Alongside the simple narrative text is more detailed factual information about the natural wonders to be found in Australia under the night sky. 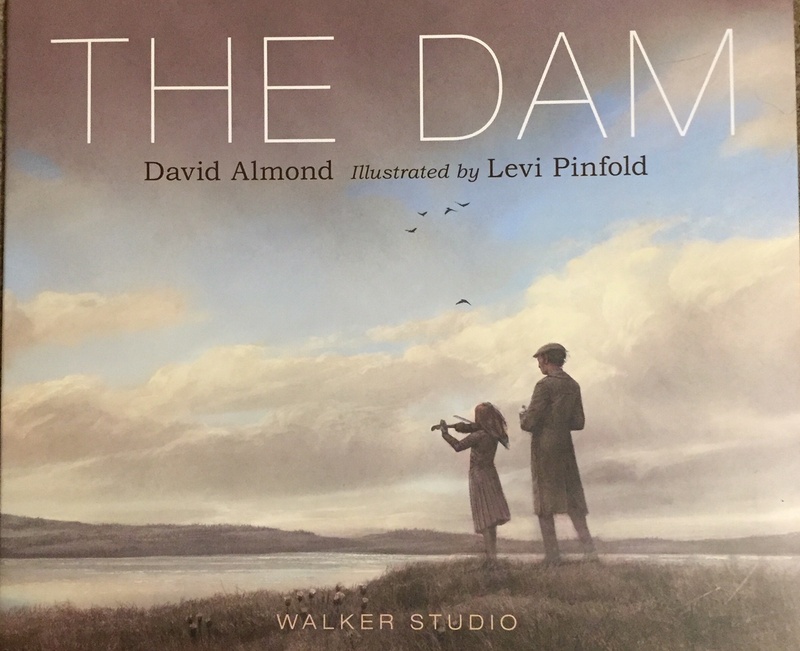 This wonderful picture book has been created by David Almond and Levi Pinfold. 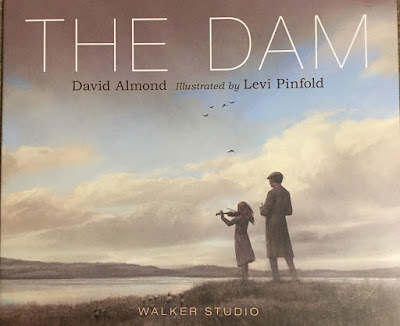 David Almond is an author of extraordinary talent. He has received numerous awards for his writing, including the prestigious Carnegie Medal, two Whitbread Children's Book Awards and the 2010 Hans Christian Andersen Award, the highest international prize for children's authors. Levi Pinfold is also a widely awarded illustrator. His awards include the most prestigious award of all for any illustrator, the Kate Greenaway Medal in 2013. This is a stunning and haunting book from an amazing team. A wonderful picture book for readers 7 to 97 years. A great option as a read aloud as well.